I really wanted to see this Park, the most remote one of the 57 Parks in the 50 states. It is about 100 air miles east of Kotzebue and about 150 west of Bettles. Many people haven’t heard of either of these places. Had I thought about it after the Noatak River trip in 2010, I would have been able to have gotten a trip from Bettles. I had a Gates of the Arctic backpack in 2012 that I decided to add a Kobuk Valley trip on. The good news was that we had an early pick up at Summit Lake, on the Continental Divide, because the pick up pilot knew we were there and that the weather was going to deteriorate. We got out before the storm hit. Unfortunately, the fact that the storm was coming from the west meant that the next day’s trip was not likely to be easy. A group of 5 of us, a family of “park collectors”, like me, and me got into a float plane (Beaver) and got over Ambler, a town near Kobuk Valley, on the Kobuk River. Twenty miles from the Dunes, we turned around because of low visibility. We were over the Park, and I thought that might be sufficient, but it wasn’t. It never is sufficient not to see something the way you want to see it. Let me digress on that last statement. 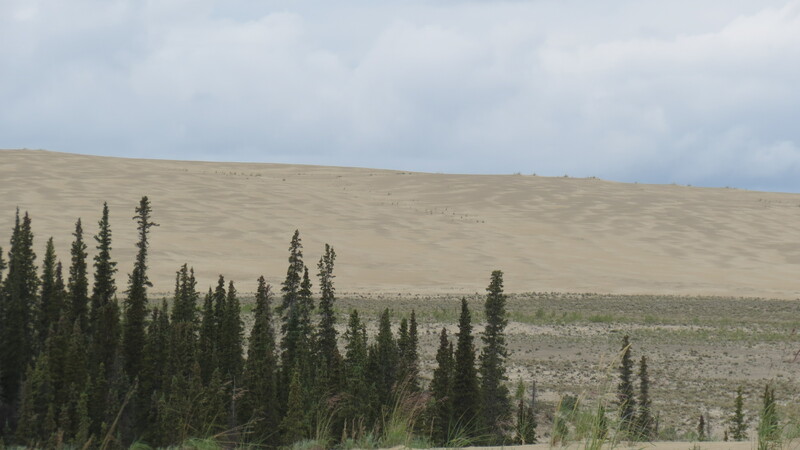 I wanted to see Kobuk Dunes. I didn’t want to camp there for a week, hike the whole park, or canoe the river through the Park. Those are all worthwhile activities for some people. 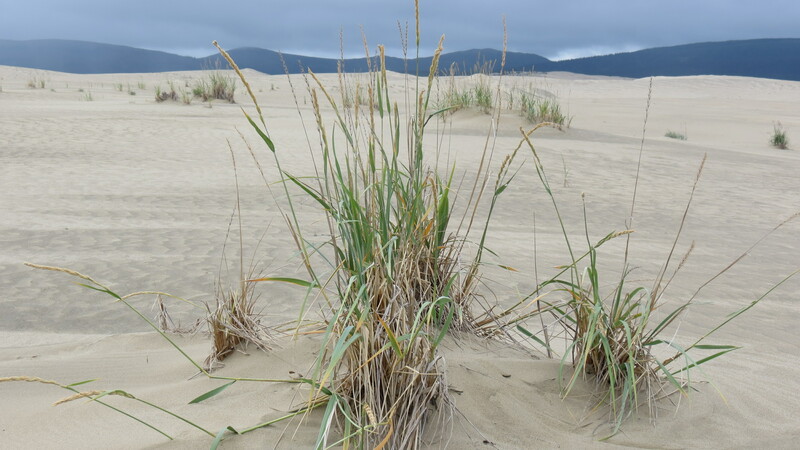 For me, seeing the Park was seeing the Dunes. Pure and simple. In 2013, I decided I was going to see all the rest of the Alaska National Parks (there are 8, and I had been in 4). I decided to set up a week trip do see the southern 3: Katmai, Lake Clark,and Wrangell-St. Elias. I started thinking, and I realized I could fly to Kotzebue and try Kobuk from there. Kotzebue is on the Chukchi Sea, and that in itself would be worth seeing. I booked the trip. I flew from Phoenix to Anchorage, stayed a day in Anchorage, flying that evening to Kotzebue. With no obvious taxi, I schlepped everything to the Nullavig Hotel and stayed the night. I was told by Jim Kincaid of Northwestern Aviation that we would be flying the next day, probably in the afternoon. The following morning, he confirmed that for me. I said that if he could take me back to the hotel, I could get my luggage and be back in 30 minutes. It took 13. I had everything pretty much packed before I had left the hotel the first time, so when I went in, I stopped at the desk and asked them to get my bill ready, while I went up to my room. When I came down, the bill was ready, I paid and left. We had to push the airplane into position, we got in, and we were on our way out over Kobuk Lake, brackish, and then to the north side of the river, passing Kiana. 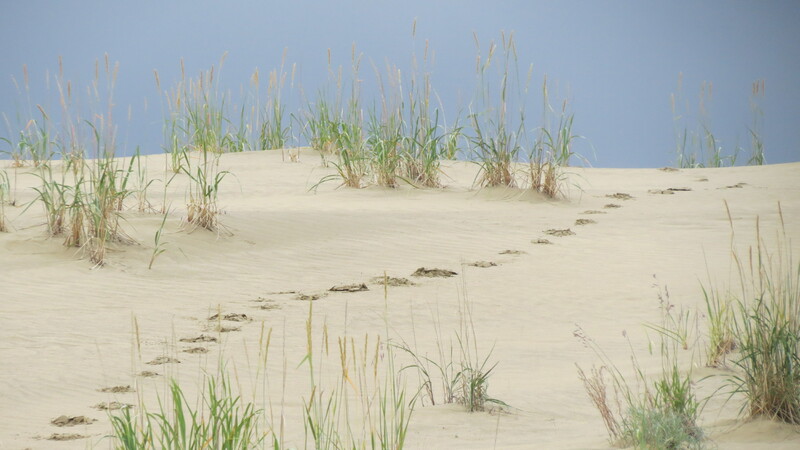 We then crossed the river and went through a couple of small squalls until we reached the Dunes. I didn’t even see the runway on the sand until we were 100 yards away. We landed, got out, and I had a half hour. Only a half hour? Not less than a half hour!! I sprinted up the ridge to a large dune, where I could look out over trees and a stream. 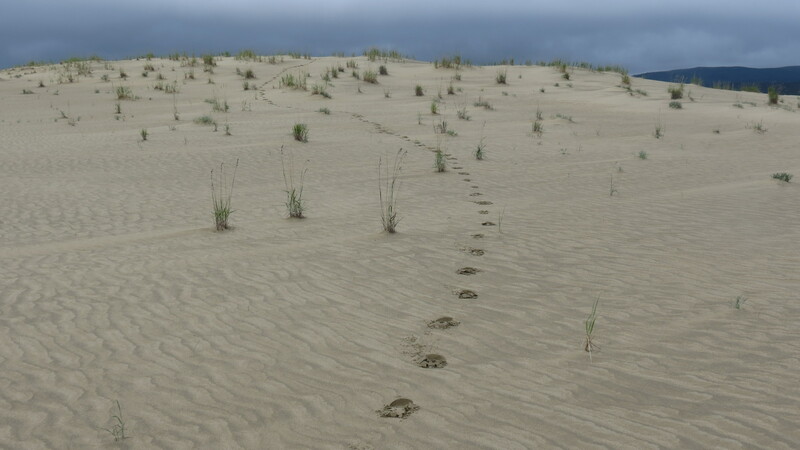 It was quiet, the sand was damp and firm, the size of the dunes huge, with a copse of trees and a stream nearby. I immediately thought of it as a place to camp. Time passed quickly, I got my pictures, we got into the plane, and we headed back to Kotzebue. It was a wonderful trip, and I got into my 45th park on the second try. We brought in the sign and put it in the sand. Kobuk has no trails, roads, NPS office (except in Kotzebue). The copse of trees was by a small stream. To camp there would be lovely. 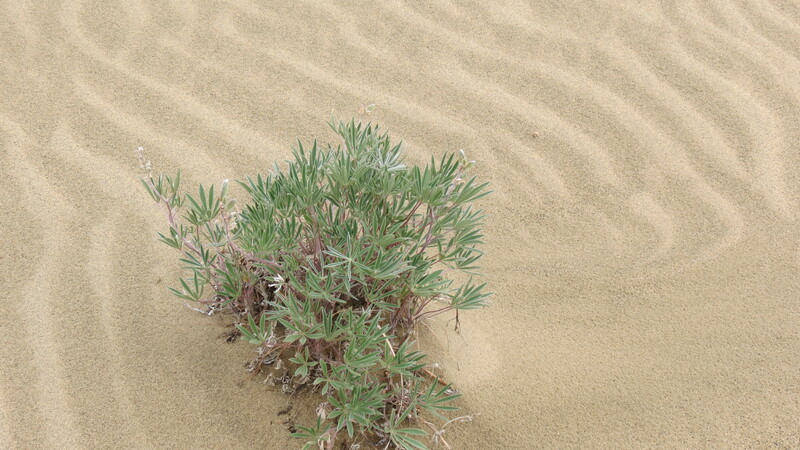 Plants can grow almost anywhere. The size of the dunes is remarkable. I suddenly realized that my footprints were a nice addition to nature. Just such a lovely spot. On the return trip. 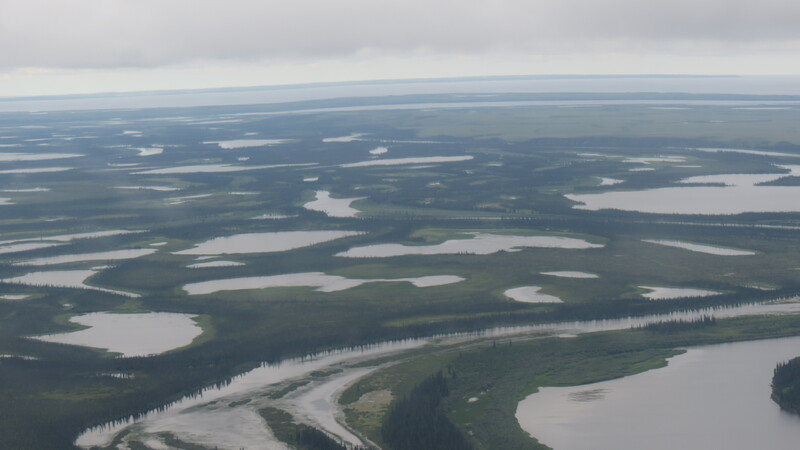 The Kobuk River has six channels, and this was only one of them. 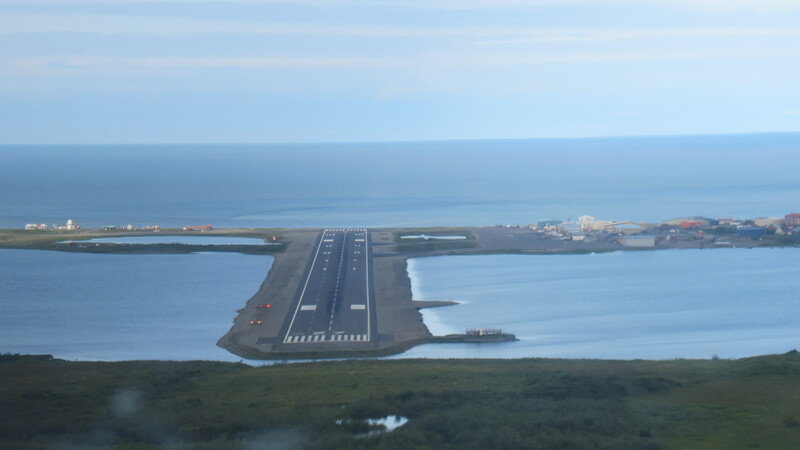 Runway two seven at Kotzebue. It is too short for full size 737s, which have a special dispensation to land here. I thought when we came in, there was a bit more thrust reversal than usual. 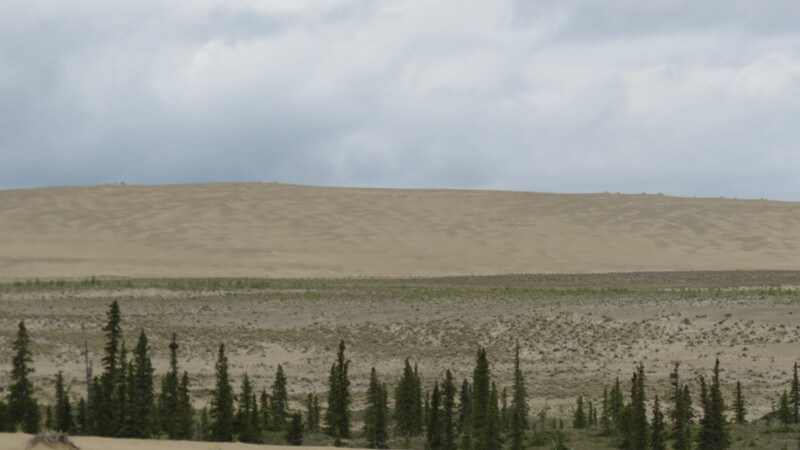 This entry was posted on July 17, 2013 at 17:14 and is filed under ALASKA TRIPS, KOBUK VALLEY NP, MY WRITING, National Park Odyssey, UNPUBLISHED OUTDOOR WRITING. You can follow any responses to this entry through the RSS 2.0 feed. You can leave a response, or trackback from your own site. Thank you for the details and awesome pictures. Where did you get the sign from? Northwestern Air once had a client who wanted to see the park. The client made the sign, left it with them, and they take it out to the Park any time they have a client. 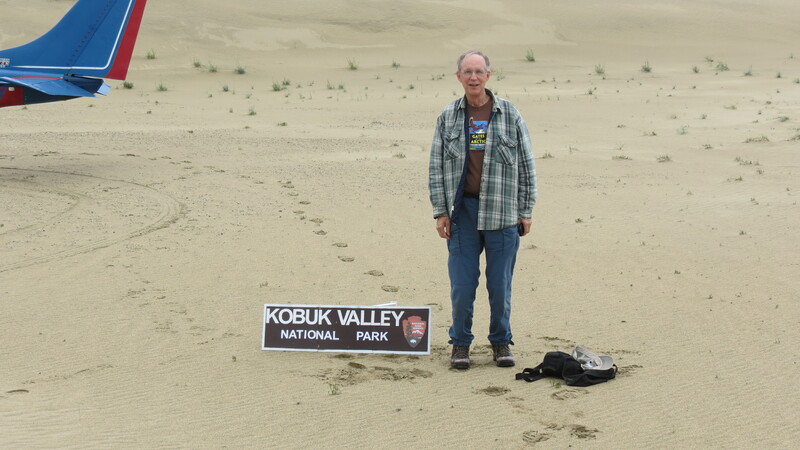 We put the sign in the sand, take a picture, and later take it back to Kotzebue. Thank you. The past problems with wilderness videos is (1) limited battery life (2) weight, and (3) looking for something interesting on it. My YouTube site is mrqssm, and I will certainly give this a try. Whoville #9 would have benefited from a picture, however. Thanks! 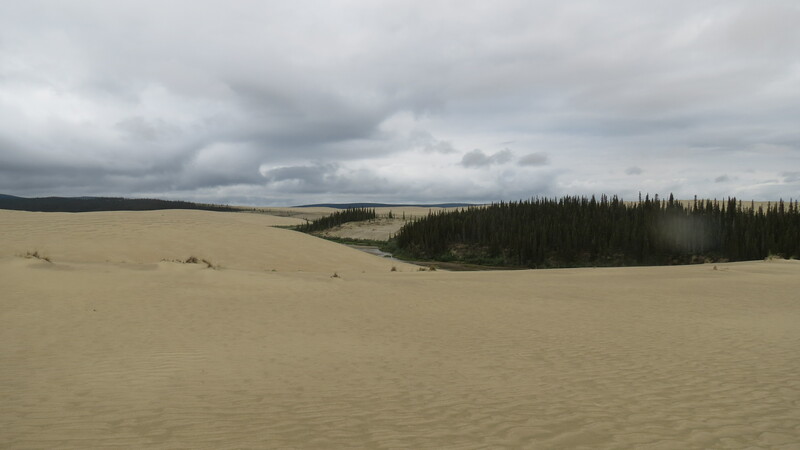 Was it very expensive to fly from Kotzebue to the Dunes with only one person? How long did it take to go there? You did not mention of what month you were traveling. Was it cold? You stated that it would be lovely to camp near the stream. Do you know whether it is doable? If I do, I do wonder whether the plane will pick me up next morning…. It is about 90 nm, so a short trip. You land on the sand a couple miles from the river, but there is a large grove of trees nearby, and that would be my site. I went in late July, and it was great weather, although rainy. August is very rainy in Alaska, and the weather can be anything north of the Arctic Circle. Plane could pick you up whenever you wanted, assuming they can get in and out without weather issues, which over there aren’t too bad, due to the altitude. Still, there can be fog. It IS expensive. There are a couple of charter services, and it would be better to split expenses. For Cape Kresuenstern, Golden Eagle Air charged $540 for about a 30 minute flight. I split it with another person so we could land and see the Musk Ox. (They charge by the minute). For Kobuk, is was $1250 for 30 minutes on the ground. It seems incredibly expensive, except the flight itself is gorgeous, and the Park is beautiful. You would have to pay twice, however, once for the pickup. It isn’t any cheaper from Bettles, and when I tried that the year before, I paid almost the same, and we turned around at Ambler because of dense fog. You take your risks in Alaska with money. You could camp anywhere, but carry bear spray and a good attitude!